The INI1 protein (integrase interactor 1), also called human SNF5 or BAF47, is an essential component of the human SWI/SNF chromatin remodeling machine. In children, germ line mutations of INI1 have been identified in brain and renal rhabdoid tumors, suggesting that INI1 may act as a tumor suppressor. This protein is also known to directly interact with HIV-1 integrase and is incorporated into HIV-1 virions. 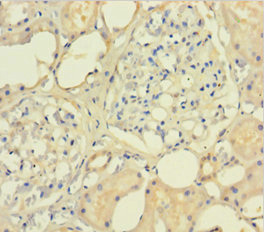 Ini1 Polyclonal Antibody. Unconjugated. Raised in: Rabbit.